Juan Carlos Liberti, longstanding Argentine artist. 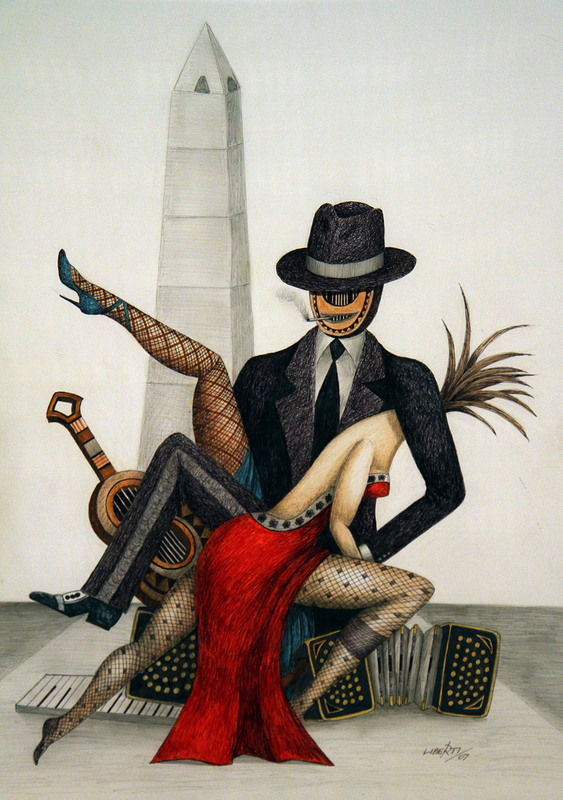 Enlisted in surrealism, he is able to recreate in his with his works the sensuality and vigor of the River Plate tango. His works are exhibited in museums in America and Europe, in the Palais de Glace in Buenos Aires, in the Dans Museum in Stockholm, Sweden, in the Argentine pavilion of the Hannover Fair in Germany, and in several museums in the United States. His self-portrait integrates the collection of the Galleria degli Uffizi in Florence, Italy.